Douglas Kirsop’s work is represented in private and corporate collections in Australia, China, Europe, Japan and the USA. Douglas Kirsop was born in Scotland in 1952. 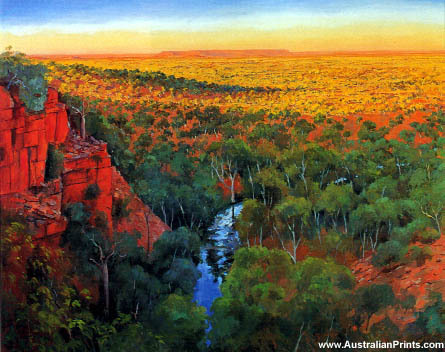 Having studied in England and France he travelled and painted in Europe between 1978 and 1982, after which he visited Australia and commenced painting full-time, concentrating on the landscapes of Western Australia and the Northern Territory. 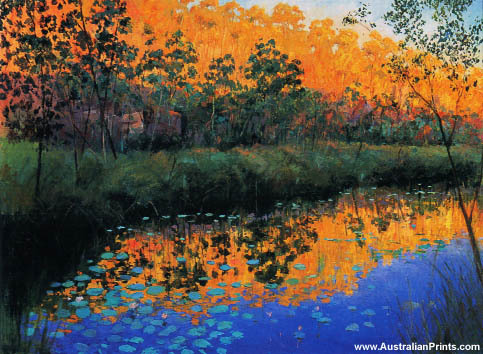 Douglas’ work has featured in many solo and group exhibitions in Canberra, Darwin, Fremantle, Perth and Sydney, as well as in Australia and in Italy. His work is represented in private and corporate collections in Australia, China, Europe, Japan and the USA. Artist information page for Douglas Kirsop.